The spice company Nordic Spice enters cooperation with the chef André Wessman. The famous chef will provide gastronomic consultation and will also be there to bring out new flavours. 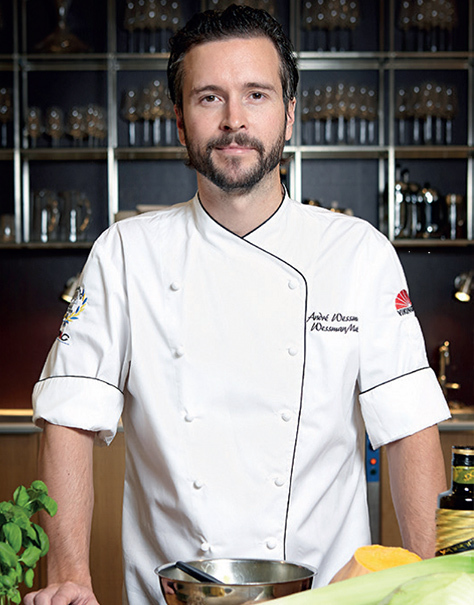 André Wessman has a substantial background within the profession with some of the best restaurants on his CV. He has among other things run his own restaurant in London, been head-chef at Operakällaren and worked in restaurants such as Fredsgatan and Gässlingen. André Wessman has also been with and founded the cooking sites Culiap.com and has been seen as a chef on Swedish Channel 4 (TV4). It feels inspiring to work with Nordic Spice. They have a unique feeling at the company where they strife for development and innovation in a business where others take safe choices. My role will be to add knowledge about the restaurant business and find new flavourings that are current right now, tells André Wessman.